Wang Wei was a famous chinese poet and artist. Many of his poems are preserved, and twenty-nine were included in the highly influential 18th century anthology Three Hundred Tang Poems. He was posthumously referred to as the “Poet Buddha”. 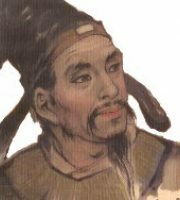 Wang Wei was a great master of the jueju. Many of his quatrains depict quiet scenes of water and mist, with few details and little human presence. Here are some of his most famous poetry like "One-hearted" and other poems.